These amazing works of art, which are often called "icons before icon painting", are notable not only for their historical significance. They can serve as an excellent and impressive illustration of the mutual penetration of cultures. 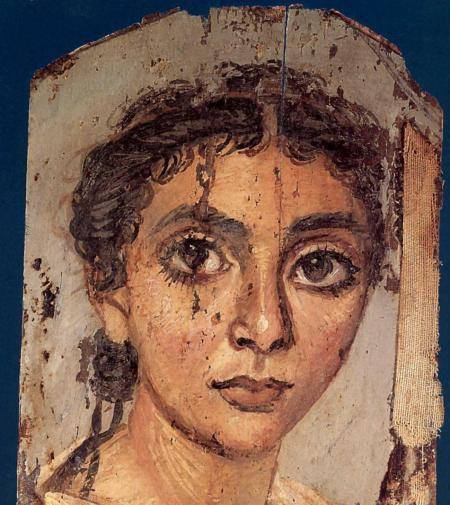 Fayum mummy portraits were created for Egyptian death rituals, dating to the Imperial Roman era, I — III centuries AD. 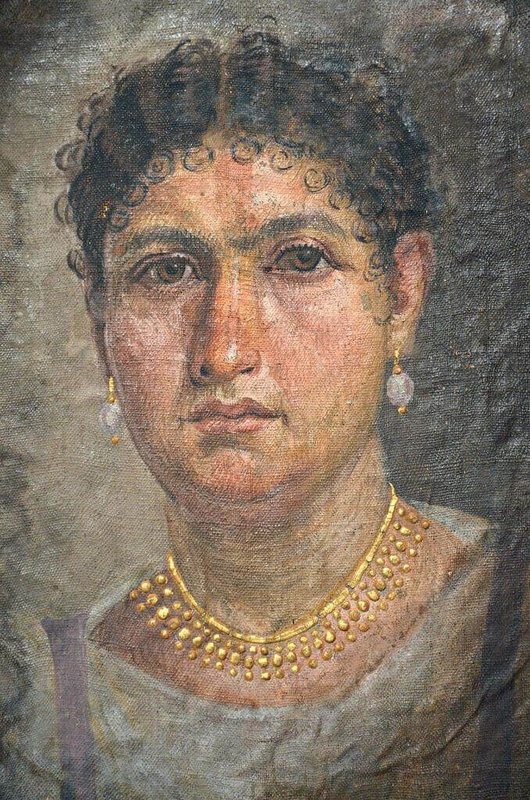 The name "Fayum" came from the first discovery of such mummy portraits in The Fayum Oasis in 1887. Portraits continued to be called that way even after discovering such treasures in other areas of Egypt. By now, about 750 ancient masterpieces have been found. The first Egyptian portraits brought to Europe were discovered by the traveller Pietro della Valle: in 1615, he brought two of them from Egypt. During the 1820s, Léon de Laborde and the British Consul General to Egypt, Henry Salt, sent several further portraits to the Old World. But it was by the end of the XIX century when they gained popularity. Back then, the historian and traveller Daniel Marie Fouquet, being in Egypt, heard of the discovery of numerous portrait mummies in tombs. He immediately sent off to inspect that place, but arrived too late, acquiring the remaining two of what had originally been fifty portraits. Soon, the extraordinary portraits caught the eye of the Austrian collector Theodor Graf. 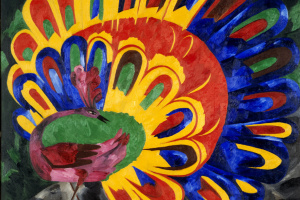 He bought from the dealers some of the panel paintings and showed them to the Egyptologist and writer Georg Ebers. His recognition of the authenticity and significance of the discovery allowed to introduce it to the world. In the late 1880s, portraits were displayed at the exhibitions in all major European capitals, and were also shown in New York. The portraits stirred the public’s interest and got a lot of talk. of these ancient masterpieces for subsequent researchers. of Fayum’s portraits was triggered by the German archaeologist von Kaufmann. 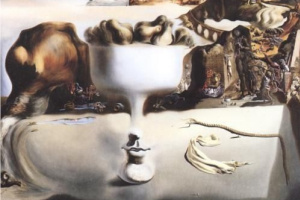 In 1892, he discovered The Tomb of Aline with a lot of now-famous portraits in it. In the IV century BC Egypt was conquered by Greece, and in the I century BC — by Rome. This mix of the culture of conquerors and ancient Egyptian traditions formed a new incredible current. 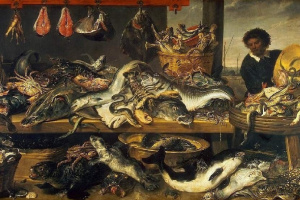 The Greek influence was reflected in the artists' ability to achieve a sense of volume with the help of chiaroscuro, use perspective and employ their knowledge of colouristics. 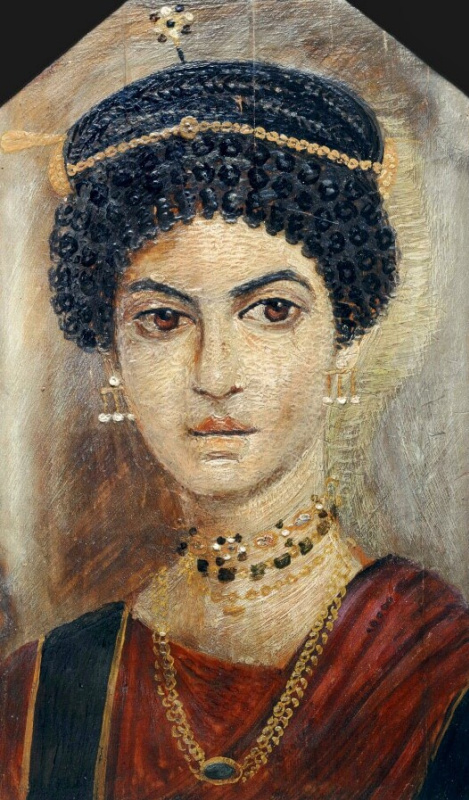 One of the main techniques of Fayum mummy portraits, encaustic, also came from Greece. Ancient Roman portraiture brought more individuality to the images. The brushwork became free and the artists payed more attention to the facial features. According to the ancient Egyptian tradition, such portraits should serve as part of the cult of the dead. And then the neighbourhood of different cultures gave birth to two directions: Hellenistic and Egyptian. Although the Romans adopted local rituals, they maintained their custom of using portraits to decorate first atriums, and only after the person’s death — mummies. Portraits of the Roman elite were created by experienced artists and stood out for their high quality. The second direction wasn’t so concerned about high artistic value and created portraits in the local Egyptian manner solely for burial rites. Over time, the Egyptian direction prevailed over the Hellenistic one. Most portraits depict young people and children. At first, it was explained by the short lifespan. Additionally, there appeared a theory that people got their portraits done at the age of 15 to 25 years, since they were intended "for future use". 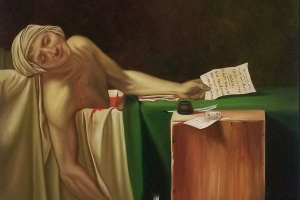 With the help of computed tomography, modern researchers have confirmed this assumption and have come to the conclusion that, according to Greek tradition, portraits used to decorate guest rooms before becoming a ritual attribute. This means that the age of the person portrayed and the one of the deceased one vary, but not always. 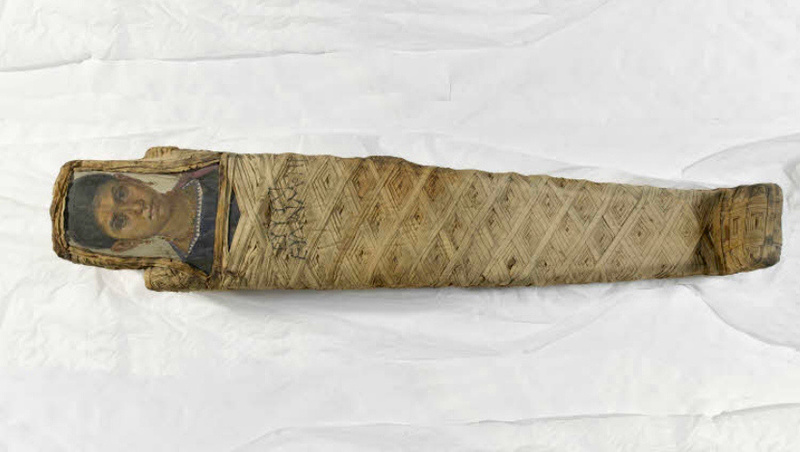 Some of the portraits were wrapped into the mummy bandages which indicates that they were made post-mortem. Real people. 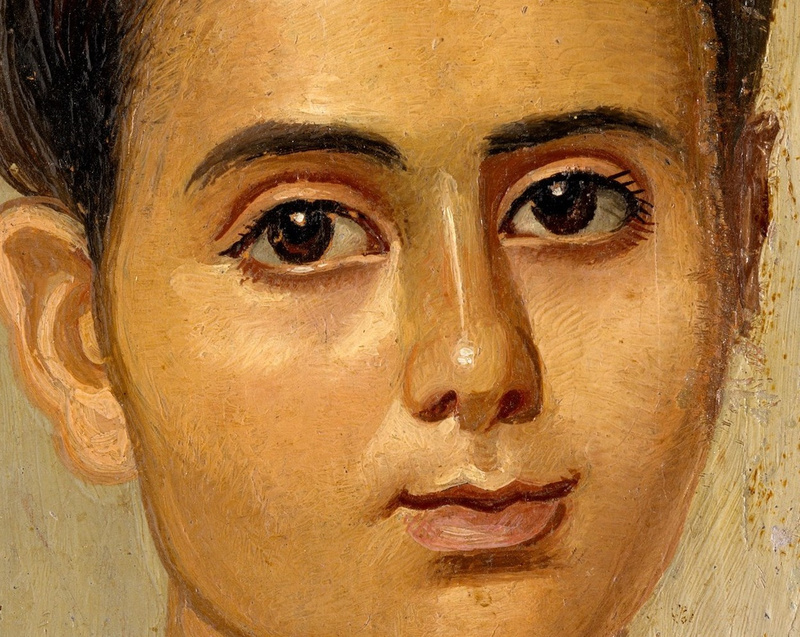 Fayum portraits, like ancient photographs, show real people who lived many centuries ago. Therefore, each portrait is a story, a unique inner world and the character of an individual. Asymmetrical Faces. Though it’s quite an ordinary phenomenon of real life, the ancient artists used it to transform the perspective of the image. Big eyes. Images of people with enlarged eyes began to appear in II century AD. And chances are it happened due to the influence of the Egyptian culture. According to the beliefs of the ancient Egyptians, the soul leaves the body through the mouth, and gets back through the eyes. For this reason, on the walls or the sarcophaguses of the tombs there were images of the deceased ones (kind of "passports"), with open, accentuated eyes. But to cover up the "gates of the soul" was considered to be a terrible revenge. Portraits for the gods. According to the ancient Egyptian tradition, masks, and later — portraits, were made exclusively for burial rituals. The masters did not try to express themselves or impress the descendants. It was assumed that no living soul would see the portraits, only the gods. 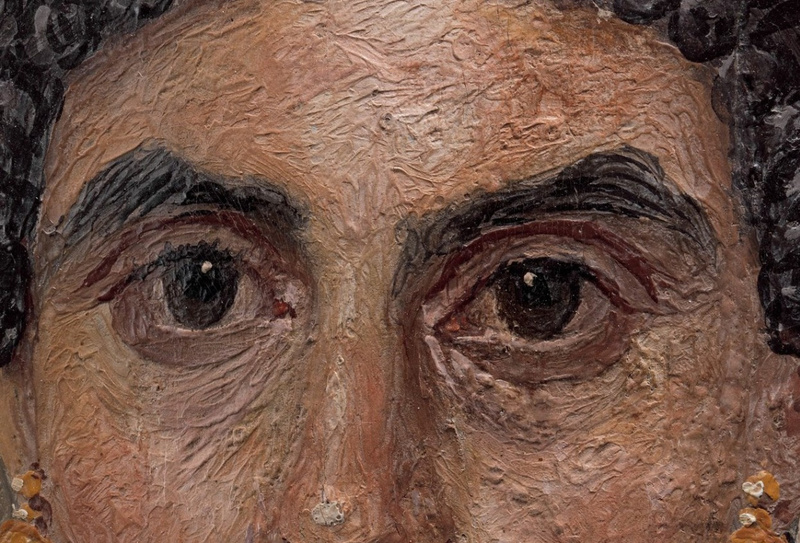 This is the main difference between mummy portraits and ordinary painting. A vacant stare. People in portraits were rarely depicted full-face — their heads were mostly turned three-quarters. Moreover, they looked not at the viewers, but as though through them, into infinity. In ancient Roman society fashion constantly changed, just the way it does now. The style was set by the imperial family. Each emperor had his own style, and the empresses came up with their individual hairstyles, samples of which were sent from the capital to provinces in the form of head models. Men looked to the emperor, women copied the hairstyle of the empress. This, along with scientific data, helped to date many portraits. There was a slight hitch though: it took too much time for the samples of hairstyles to get to the provinces. Therefore, women’s haircuts in Fayum were 20 — 30 years behind those of the capital. The mummy portraits were painted on boards made from hardwoods like cypress or cedar. Two groups of portraits can be distinguished by technique: one of encaustic (wax) paintings (photo below), the other in tempera. 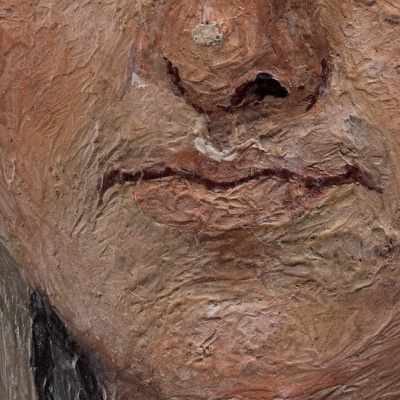 The first and best portraits were rendered in wax paint. For this technique, the artists used a brush and a hot metal rod, resembling a thin knife. Melting at high temperature, the wax paint hardened, creating unevenness and volume effect. For egg tempera portraits, the brushes were enough. The work became cheaper, but not easier. Egg tempera paint made from ground dry egg yolk dried really fast, so the artists had to paint very quickly, accurately and without any corrections. Sometimes the master would "model" the shape of the face with his own fingers — the technique which was later used by some Impressionists. 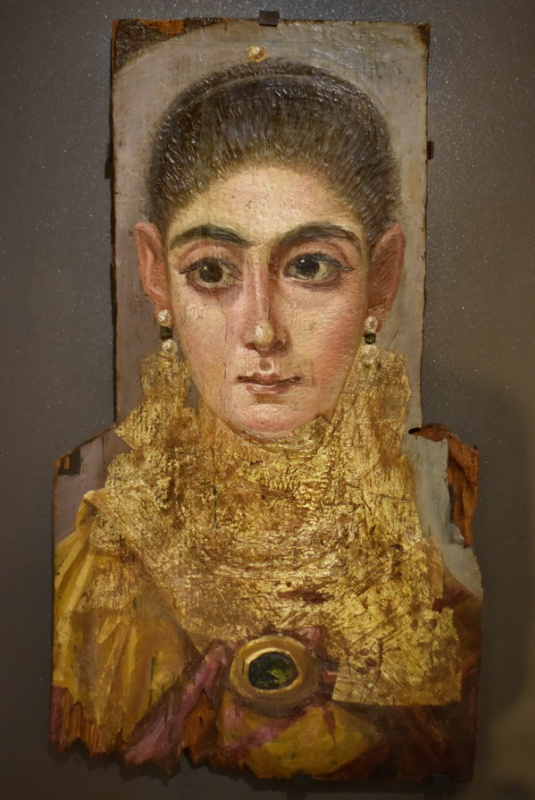 A bright attribute of Fayum mummy portraits is gold leaf. 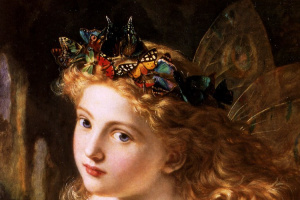 The artists gilded either background, wreaths, jewellery or details of clothing. Over time, tempera completely replaced wax paint. 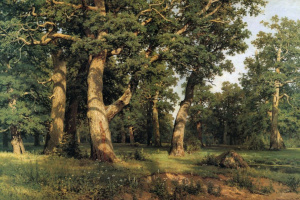 Not only the technique, but also the style of painting became simpler: having lost its former volume, it became schematic and less realistic. The Roman Empire itself collapsed, giving way to another force — Christianity. With the spread of the new religion in Egypt, ritual traditions were lost … together with Fayum mummy portraits. In 395, Egypt became part of the Byzantine Empire. 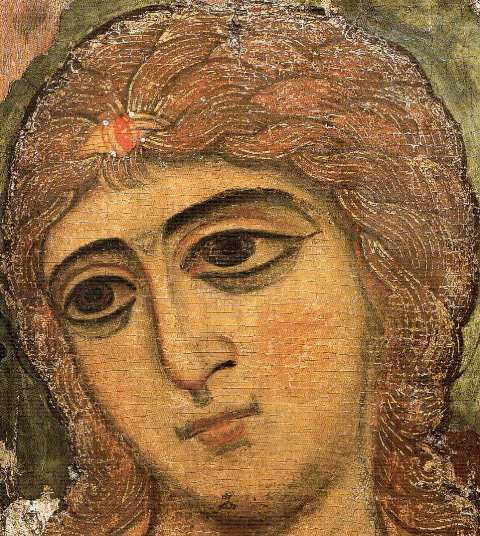 "The forerunner of icon painting"
"This portrait does not disappear, but changes stylistically. 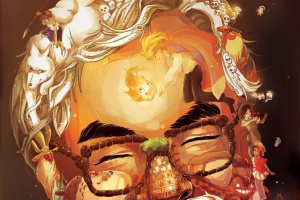 The image of a person is interpreted in a different way here." Striving to depict not only the appearance, but also the eternal soul of the deceased, ancient artists involuntarily influenced the formation of the iconographic canons. 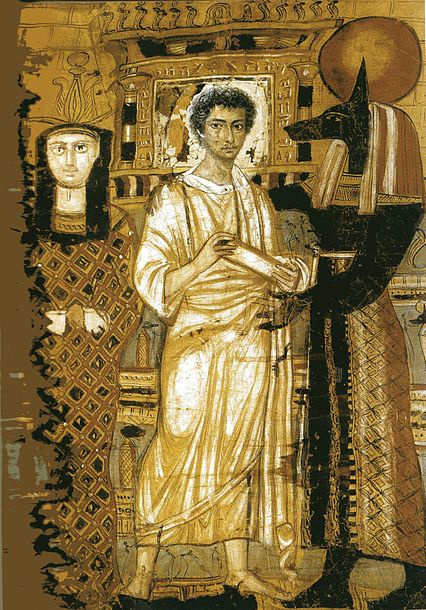 A sad gaze into eternity in Fayum mummy portraits was perfectly suited for portraying the saints in the religious art of Byzantium. 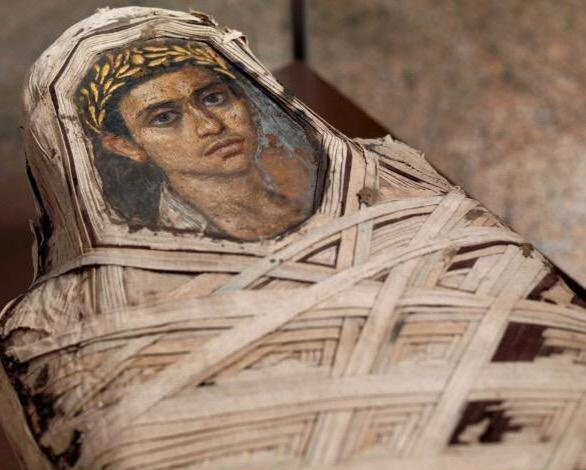 Sure thing, the Christian icons are not completely different from Fayum mummy portraits. 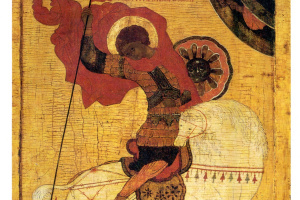 These ancient images are sometimes called "icons before icon painting", since they were the first portraits depicting a person "from the point of view of eternity". 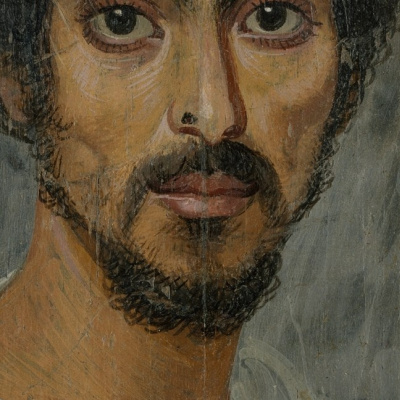 These days, Fayum mummy portraits have become part of numerous collections of the main museums of London, Paris, New York and other cities of the world. A priceless collection of these ancient treasures belongs to the Pushkin State Museum of Fine Arts. 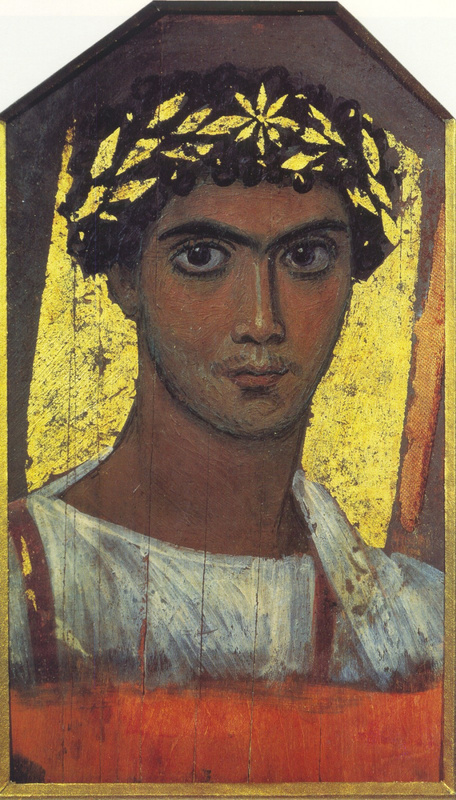 The most significant portrait of the museum depicts a young man wearing a white toga and a golden laurel wreath. Dated to I century AD, the piece is well preserved and has become an important source for researchers.